These stainless steel chambers are made for rough or medium vacuum or for high or ultrahigh vacuum. From small, horizontal or vertical to large. Many standard sizes for general purpose and also for degassing or helium leak testing. 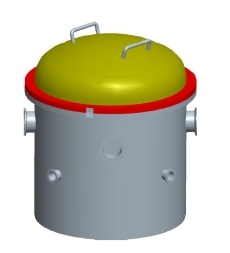 Standard chambers with inner diameter from 100 to 2000 mm. Choose a standard chamber for lowest price and shortest delivery time or let us customize your chamber. Are delivered leak tested. Cylindrical for mounting on table. Inner diameter 350-400 mm. Cylindrical Mounted on support. Inner diameter 500-900 mm. Stainless steel chamber with inner diameter from 100-200 mm. With lid of stainless steel. The lid is removable and put in place on hooks. With rubber feet to be mounted on a table. Often used to degass or remove trapped gasses from epoxy, urethane or paint. With multi-stage rotary vane pump to reach 1 mbar or with two-stage rotary vane pump to reach 5x10-2 mbar. For degassing a filter should be used to protect the pump. Also suitable for drying or helium leak testing. 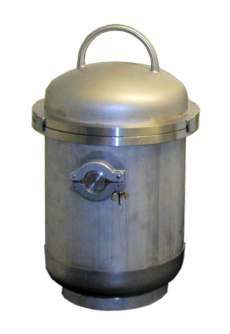 Stainless steel chamber with inner diameter from 200-400 mm. With lid of stainless steel. Often used to degass or remove trapped gasses from epoxy, urethane or paint. With multi-stage rotary vane pump to reach 1 mbar or with two-stage rotary vane pump to reach 5x10-2 mbar. For degassing a filter should be used to protect the pump. Also suitable for drying or helium leak testing. Stainless steel chamber. Can be used with turbo and two-stage rotary vane pump for comparing vacuum gauges. Stand with 4 legs and rubber feet. 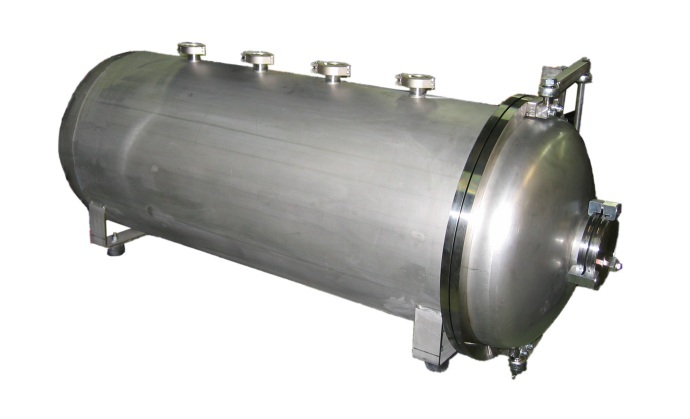 Stainless steel chamber with inner diameter from 350-400 mm. With very well balanced door of stainless steel. 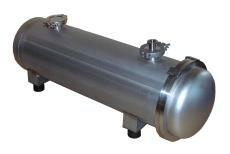 Suitable for drying, degassing or helium leak testing. Vacuum valves. Pumping and venting. Stainless steel chambers. With very well balanced door of stainless steel. Suitable for drying or helium leak testing. 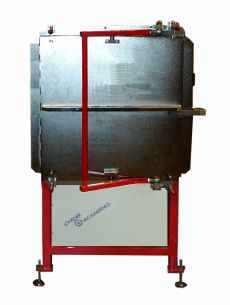 Movable loading plate (see picture). Stainless steel chamber. With very well balanced door of stainless steel. Suitable for drying or helium leak testing. Stainless steel chamber. 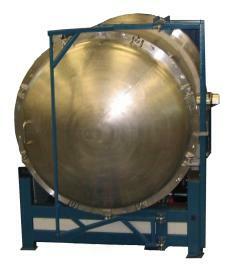 Suitable for drying or helium leak testing.